Are You Hot? 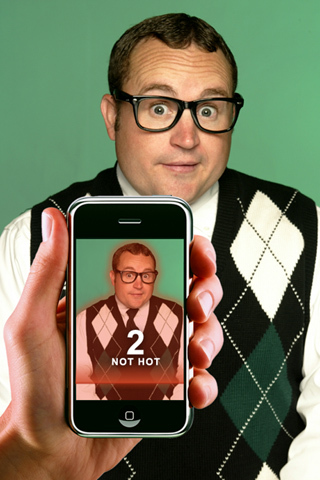 app is a funny Augmented Reality application for the iPhone that lets you see if your friends are hot or not! Simply point your iPhone at a friend (less than 6.5 ft / 2 m from you), and using Are You Hot? 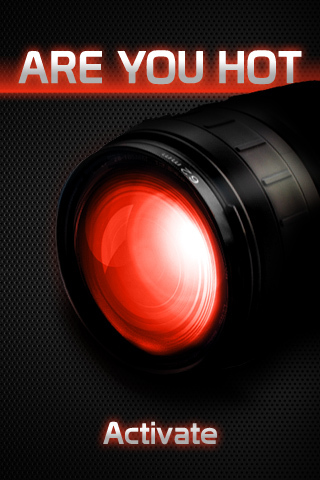 scanning technology, you will see his or her hotness on the screen (with a rating from 1 to 10). This application lets you take photos, and share them with your friends by email, or directly on your Facebook account. Please, note that you must clearly see your friend's face on the screen to get good results.